Prior to the 1920s, the quickest way to get a message across Funter Bay was to hop in a boat and row. If it wasn’t as important, you could walk the long way around. For outside communication, mail came several times a week by boat. Telegrams could be sent from Juneau to “Down South” after undersea cables were laid between 1900 and 1904. Delayed communication sometimes caused headaches for those trying to do business at Funter Bay. On at least one occasion, people attempting to meet passed each other as one traveled to Juneau and the other to Funter. 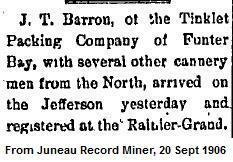 Juneau newspapers attempted to keep track of the comings and goings of important persons, including their hotel accommodations. This practice seems a bit intrusive in today’s world, but was vitally important for coordinating meetings at the time. 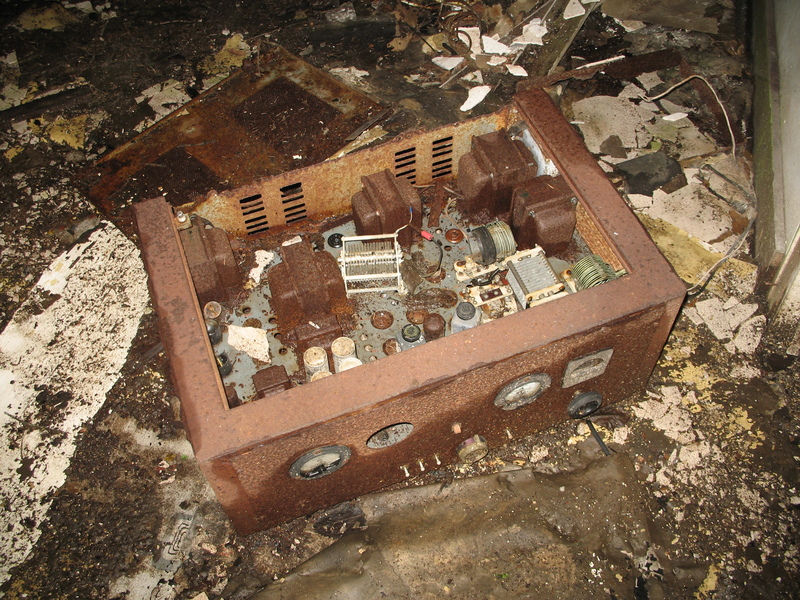 Radios began appearing at Alaskan canneries around 1915, in the form of large base stations. In an earlier post I noted the large twin masts supporting a dipole antenna at the cannery in 1929. The FCC has some historic radio service bulletins online, listing new stations each year. Others can be found on Google Books. A 1919 list of commercial radio stations includes the “Thinket Pack. Co.” at Funter, Alaska, with call sign of KXK. (Those call letters had been assigned to the steamship Puritan until 1915). Frequencies were 300, 550, and 600kHz. In 1922 it was noted that the radio station at Funter opened for the year on May 11 and closed September 20th. By 1932 the cannery had several call signs listed. The “PR” service indicates limited public use, while “P” indicates private use only. FX is Fixed Base, and FC is Coast Station. Smaller shortwave and single sideband equipment gradually made its way into more locations, as seen by the proliferation of call signs licensed to fishing boats between the 1920s and 1940s. Antennas became smaller as frequencies got higher and transmitters more efficient. Eventually many houses and cabins had radios of some sort installed, sometimes bending the FCC’s rules on CB and mobile radio use (as often happened, rules designed for the lower 48 made little sense in Alaska). More modern radio systems associated with Funter Bay are mentioned here. The 1930s and 40s brought hand-crank telephones, although these were never a complete network, and only connected a few buildings at each industry (and later, between a few houses with salvaged equipment). The Funter Bay cannery had a number of EE-8 army field telephones, which were likely installed during the Aleut internment. A few older crank phones can also be found in houses around the bay (When I was growing up we had phone lines to 5 houses and a few out-buildings, our “phone number” was three rings). 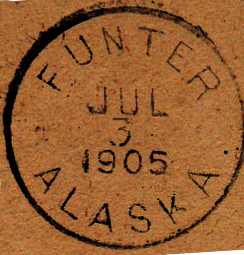 From 1902 until the late 1970s, Funter Bay had a mostly year-round post office. Cannery employees and winter watchmen usually served as postmaster (and public radio operator) and the post office was the social center of the community in the winter. Mail boats are discussed more in this ridiculously long post. I may write more on the postal history of Funter Bay at a later time, I am still collecting information on that subject. 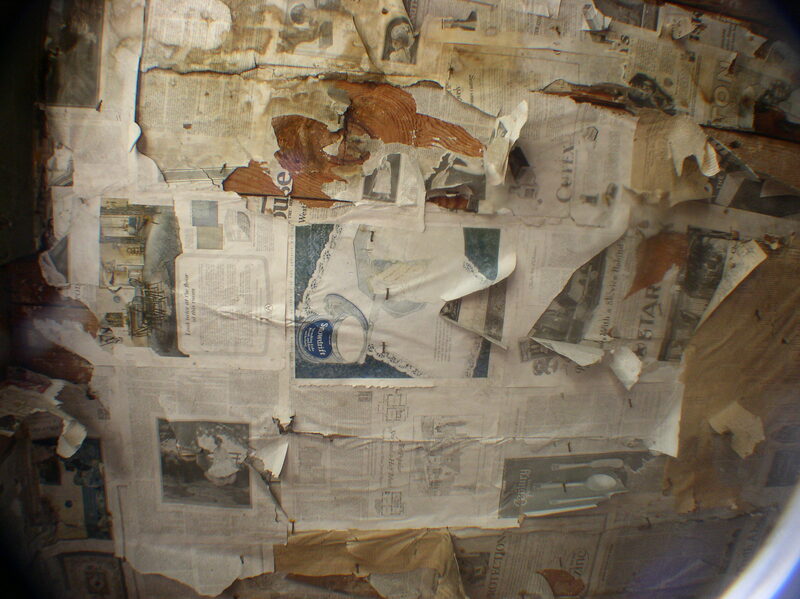 Newspapers were also popular, even if they were outdated by the time you got them. They were entertainment, you could insulate your house with them (shown below), and they’d probably be useful in the outhouse! 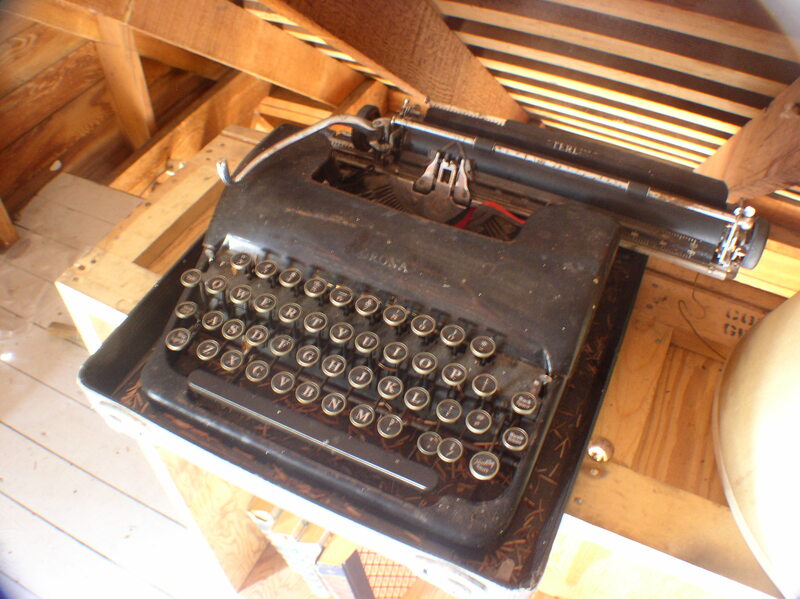 This entry was posted on Monday, March 10th, 2014 at 12:15 pm and is filed under Alaska History, Funter Bay History. You can follow any responses to this entry through the RSS 2.0 feed. You can leave a response, or trackback from your own site.